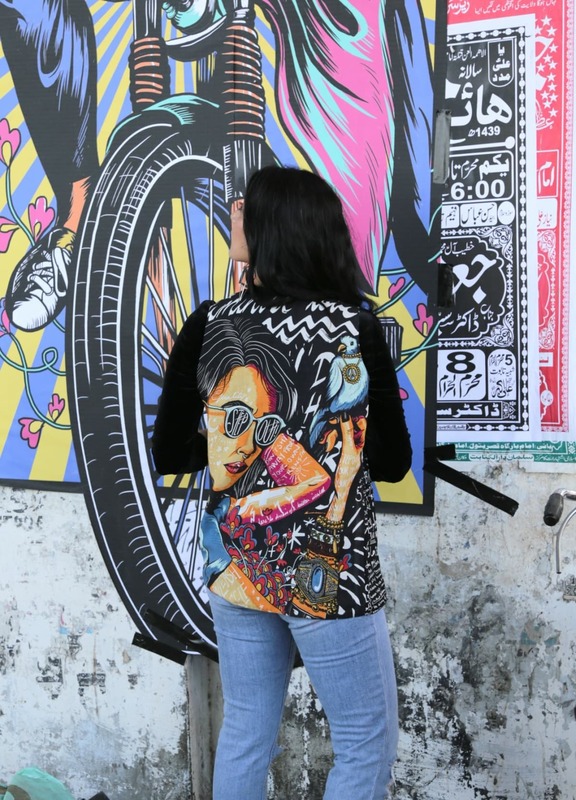 Fashion meets art in a limited edition collection that is about to get stocked at Generation stores across the high street – and we’re not referring to your usual, phool-patti artistry here. 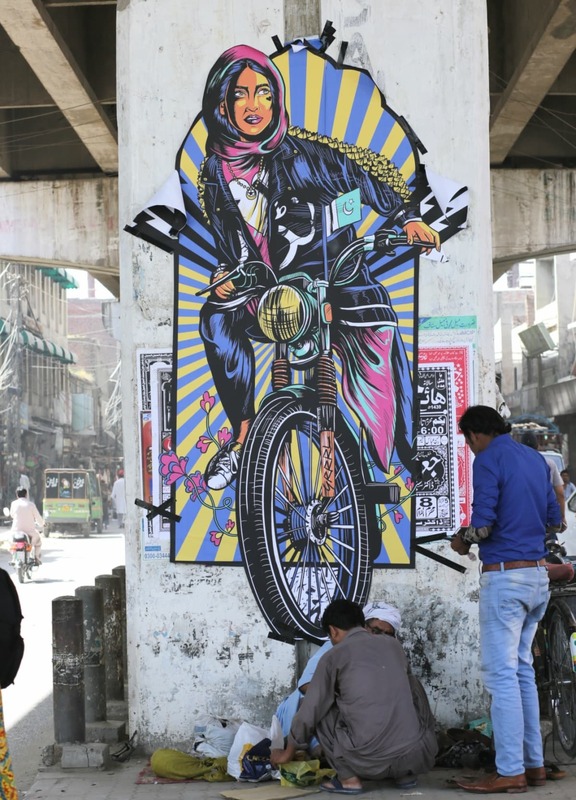 Instead, joining hands with graphic designer/illustrator Shehzil Malik, Generation is seeking to make some strong feminist statements: a girl wearing a hijab riding a motorbike; another, with her hair open; girls with piercings, tattoos fair-skinned, dark-skinned; staring boldly out at the world. 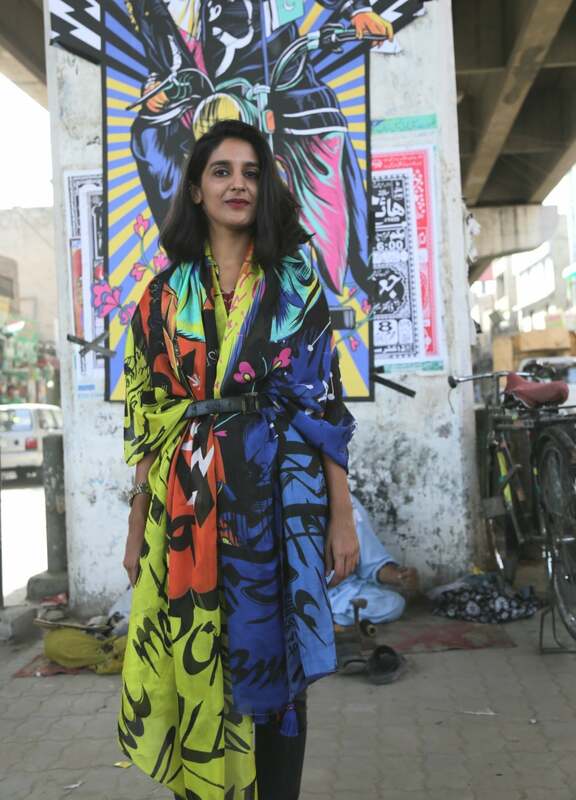 Coupled with this imagery are evocative slogans in Urdu and English, splayed down the length of tunics, jumpsuits, jackets, cowl shalwars, crop tops and statement scarves. ‘Nidar’ (fearless), ‘Taqatwar’ (strong), ‘Bahar niklo’ (go outside) and ‘Boss lady’, they declare, along with phrases from Nigerian writer Chimamanda Ngozi Adichie’s book We Should All Be Feminists. 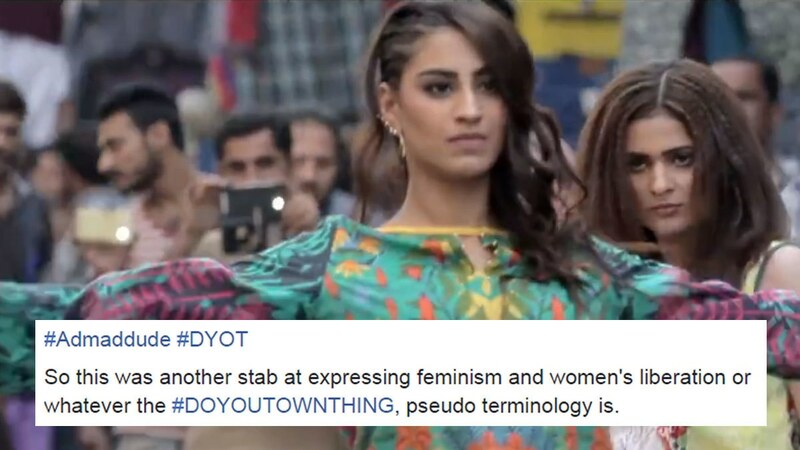 Feminism, of course, is fashion’s ‘it’ trend at the moment, with every other global brand latching onto its bandwagon. It is a catchphrase that has become all too common, often used in the wrong context, to the point that feminism-inspired statements can easily teeter towards the generic. However, in recent times, one notices how Generation has resiliently stayed away from the commonplace. 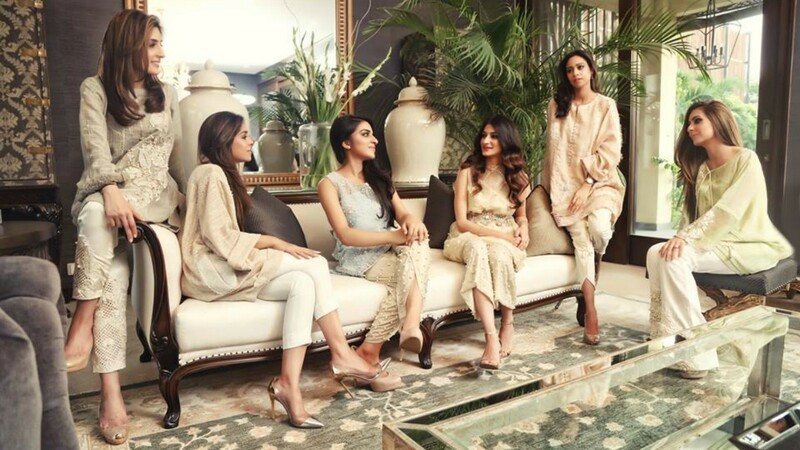 Playing with silhouettes and unique inspirations, the brand represents the fashion-forward side to the high-street and one hopes that the upcoming collaboration with Shehzil brings in more of the same. This is also not the first time that the brand has promoted its feminist inclinations. Last year, the ‘Step Outside’ campaign, inspired by the Girls at Dhabas movement, was initiated, promoting a woman’s right to be able to move freely in public spaces. It was while shooting the campaign that Khadija Rahman, director of design and marketing at Generation, met Shehzil. The collection is also indicative of a new direction that the local high street could delve into, breaking away from mundane floral prints and working with innovative young artists. Internationally, such collaborations are common. Gucci, for instance, has been teeming up with artistes who showcase their work on Instagram, and coming up with quirky, limited edition capsule lines. The brand’s most recent such collection, releasing in a free days from now, has been in association with Unskilled Worker, an artiste who was discovered by Gucci’s Creative Director Alessandro Michele via Instagram. On the local front, one remembers Sonya Battla’s beautiful ‘Manora’ line from 2015, created in collaboration with artist Naiza Khan, etching the Manora skyline and seashores onto fabric. And back when fashion indulged in delicious, feisty moments, there was photographer and artist Tapu Javeri, spinning out concentric Karachakra prints and psychedelic colour blocks, which were then trooped out onto the Fashion Pakistan Week runway in 2014, moulded into designs by the House of Kamiar Rokni, Mohsin Ali and HSY. The upcoming Generation-Shehzil Malik collaboration is in a separate league not just because of its artistic roots but also because of the very relevant messages it gives out. The affordable price points are the veritable icing on the cake: ranging between Rs1800 and Rs5000. The collection reaches stores on Friday, October 6, 2017. And it is Generation’s determination to have an identity – rather than fade into the lucrative but boring milieu of ready-to-wear in the market – that makes it stands out and has one trooping into the brand’s stores again and again. 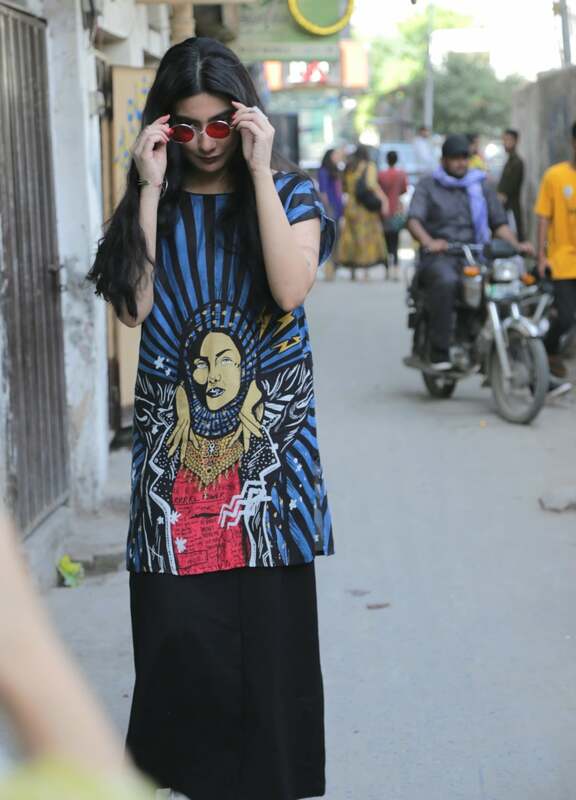 Not just for daily wear, but for clothes that make statements, feminist statements perhaps. 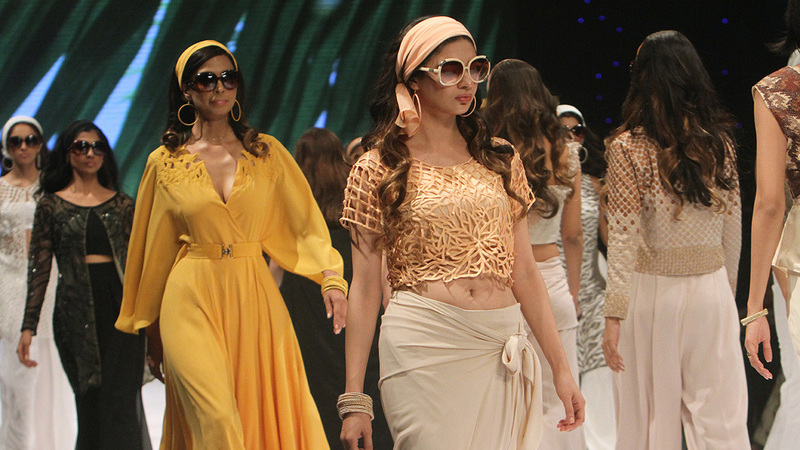 Are 'real people' shoots here to stay in Pakistani fashion?